BMWs were the most stolen cars in the UK last year, according to new figures. 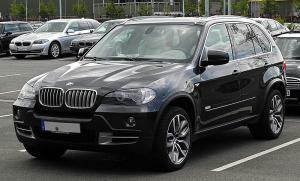 Data released by Tracker, a stolen vehicle recovery specialist, has revealed that the BMW X5 was the car most commonly targeted by thieves. Porsches, Mercedes and Range Rovers were all also high on the list. The information is not just cautionary for motorists but for the motor trade industry too – any company that deals in these frequently stolen vehicles will need to be extra vigilant in ensuring their motor trade insurance policy comprehensively covers them against theft. Road risk insurance can provide this cover but by speaking to expert brokers such as Bollington you can also make sure that high performance vehicles are also covered, such as these, that are more desired by criminals. In total Tracker, stated that it recovered £8.5 million worth of stolen vehicles last year. BMW’s 5 series, 3 series, M5, X5 and M3 were all on the top 10 most stolen list. The other vehicles featured were the Audi S4 and S4; the Mercedes C Class; the Range Rover Sport and Vogue, and the Porsche 911. Adrian Davenport, police liaison officer for Tracker, said: “It’s clear from our latest figures that thieves continue to target prestige models with the most expensive car recovered being worth £90,000.